But Skyfall is dying, and the Immortals who had protected Airi and Belamar’s world have been missing since the Great War. 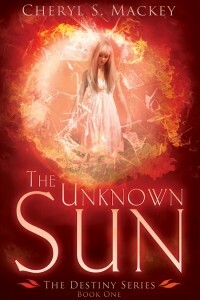 Moira, Airi, and Belamar must find a journal left by the twins’ deceased mother, Tanari, that tells of a prophecy that must be fulfilled to free the Immortals known as The Unknown Sun so that Skyfall can be saved. A dream I had at age 14. The story was so vivid and real that I NEEDED to write it. However, I knew I wasn’t ready to, wasn’t good enough yet, so I waited until the time was right. They appeared in a dream, names and all. It was pretty cool. A thunderous peal from the horn draws our eyes to the north. The cloud of beating wings has regrouped, and is approaching fast. Shields and swords glitter against dark wings and armor that are still specks in the sky. “Ready arms!” Airi’s roar shatters the tense silence. Bel stands beside her, content to let her lead their people against the rebel legion. His strength lies in defense tactics, and his face is now set with concentration as he studies the approaching horde. The field echoes with the clatters of shield and sword as they meet in a thunderous clash in answer to Airi’s call to war. Thousands of wings arch high in preparation to take to the sky. Bel quickly snaps orders to the nearest generals and the formation of the legions shifts. Then for a long moment, everything is deathly quiet.